Earlier this year I briefly mentioned Jameszoo’s naive, computer jazz record Fool but never got to opportunity to give it a proper review. Nicely enough you’re in luck today, so get ready for a treat. Mitchel van Dinther, a DJ in the Dutch town of Den Bosch always had a thing for the obscure. Behind the turntables he mixed avant-garde, kraut, prog and other oddities into lively electronica sets. At some point however he decided it was time to take up producing himself under the alias of Jameszoo. At first he aimed to create a simple debut record full of colorful electronica but reconsidered his approach after hearing compositions of relatively unknown jazz artists Steve Kuhn and Arthur Verocai. Van Dinther was lucky enough to come into contact with his inspirators Kuhn and Verocai while he was writing his compositions and even convinced them to play a role on his album. This and other things, such as a sense of urgency and the strive for perfection delayed the production time of Fool for a whopping 4 years. In a way it parallels the process of writing a high level academic dissertation in which every word needs a function and on a record like this every note also needs to be at its right place. Fool therefore is not only about contributing a refreshing new jazz album to the scene but obviously also is a product of van Dinther who comes to terms with himself. Alongside the aforementioned underground legends Jameszoo also found drummers Julian Sartorius, Richard Spaven, bassist Raphael Vanoli, Thundercat and sax player John Dikeman willing to play a significant part on the 11-track album. It’s first track, ‘Flake’, opens with some impressionistic tinkering bells before quickly turning into a G-funk themed track with a well hidden jazz piano in the background. It hints back to the experimental music of Jamie Lidell and Daft Punk we heard in around the turn of the millennium, setting apart various styles. 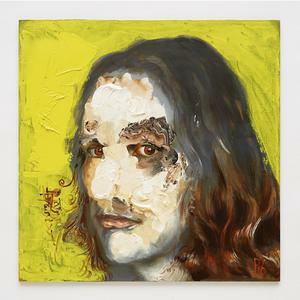 Across Fool, Jameszoo also combines the various styles more discreetly. ‘Crumble’ for examples features speedy IDM-like drumming and again G-funk styled piano play while closer ‘Teeth’ quietness electric piano is graced with a restless violin. Jameszoo’s experimental side is naturally heard throughout the album but comes into play best on ‘Lose’ and ‘Toots’. The first opens almost schizophrenic with various synths freely flowing around which eventually builds up to shrill melody with an ambient undertone. ‘Toots’ outdo’s ‘Lose’ when it comes to the shrill toned build up but suddenly quiets down after 3 minutes when hereafter some intriguing drumming takes over. Both tracks could be ear bleeders for people who just want to hear easy jazz but follow through very well as an experiment. The tracks Jameszoo recorded with Kuhn and Verocai are probably Fool’s crown jewels. After the session with Verocai, Jameszoo was struck by the flu and decided to name the track he recorded with the latin jazz master ‘Flu’. On it Verocai accompanies Jameszoo with his bossa nova guitar yet never really gets in the centre of the attention because of the heavy “Lidell”–fusion that constantly hits in of the foreground. ‘The Zoo’ on which Kuhn comes in, is the album’s main resting point. Piano and Thundercat’s vibraphone are nicely interwoven and progress calmly until Kuhn halfheartedly sings the track to a soothing yet unfulfilled end. Overall speaking Fool is one heck of a debut album. On many levels it’s production is fresh in terms of the experiment. It modular construction makes it challenging to listen to at times. Between that Fool also brings tranquillity at the right moments. In the end Jameszoo never offers a solid grip on what he’s doing. Instead he leaves us with the semi-eclectic concept of ‘naive computer jazz’. If Fool marks the birth of a new subgenre its contents could be more or less perfect. Of course it’s too soon to say if this is the case, so let’s just settle with the idea that perfectionists are never truly satisfied with their own work and hope Jameszoo continues to explore his imagination for many years to come. This entry was posted in WRM and tagged 2016, acid jazz, ambient, Arthur Verocai, Avant-garde, Bossa Nova, Brainfeeder, cd, Daft Punk, Den Bosch, DJ, experimental, Fusion, G-funk, Jameszoo, Jamie Lidell, Jazz, John Dikeman, Julian Sartorius, kraut, Latin, Mitchel van Dinther, naive computer jazz, prog, Raphael Vanoli, review, Richard Spaven, Steve Kuhn, The Netherlands, Thundercat. Bookmark the permalink.